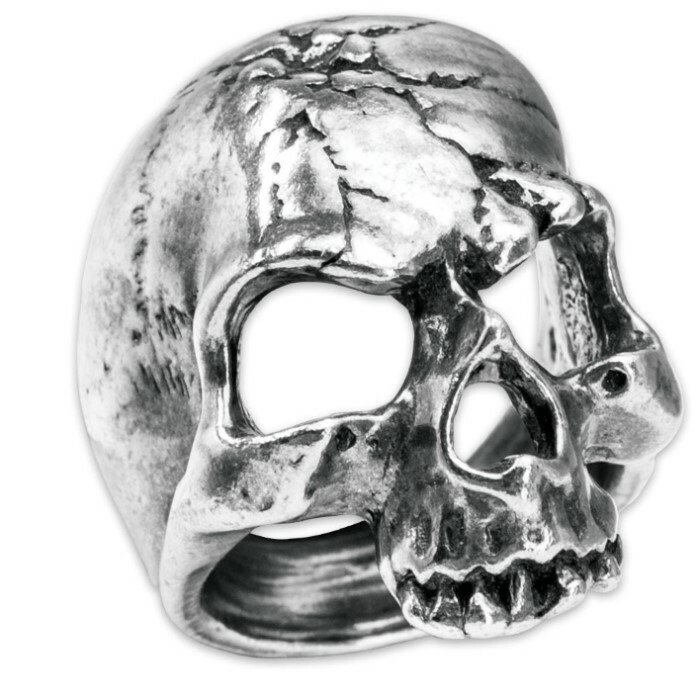 There is something about icons of death, especially in skull form, that draws us in and the Ruination Skull Ring will draw you in, too. 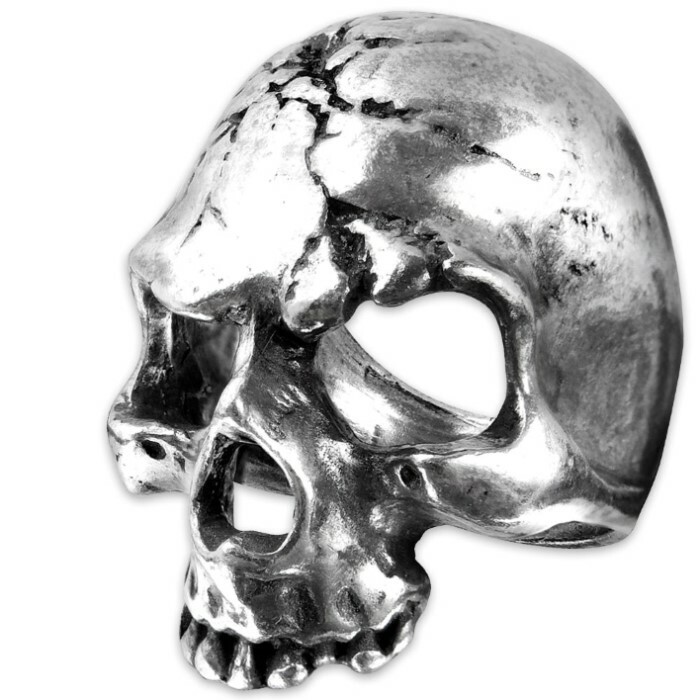 Handcrafted of fine English pewter, the intricately detailed cracked skull is a classic Gothic piece. 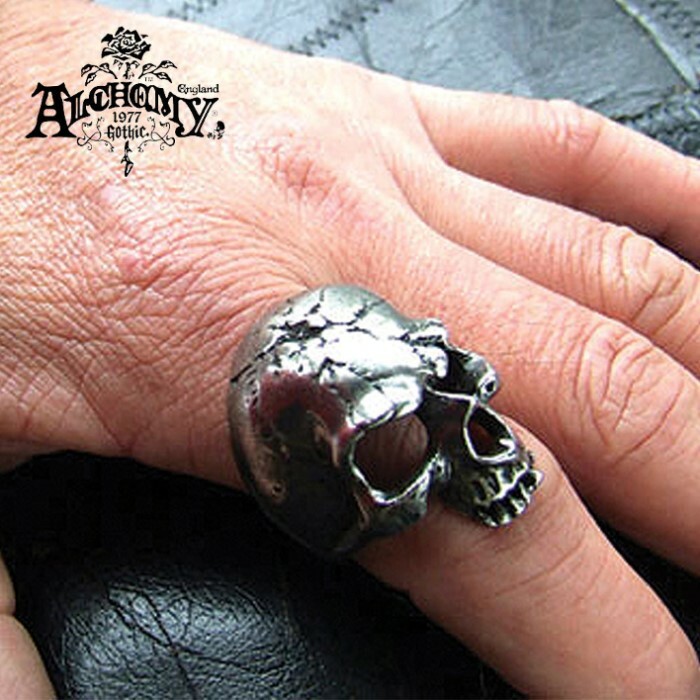 The high-quality pewter gives it a beautiful luster and highlights the dark details of the ring. It comes in sizes 8.5, 9.5, 11 and 12.